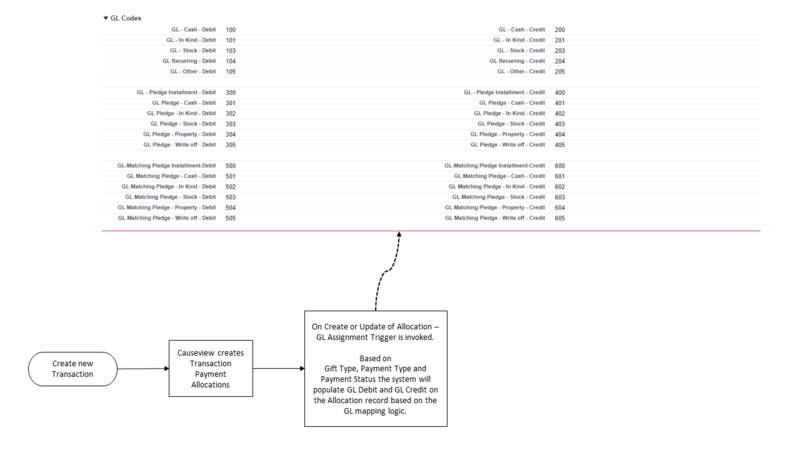 Below is a guide for how GL Codes, specified in Funds, are mapped into allocations. When a new gift is entered, Causeview creates the Transaction, Payment and Allocation records. 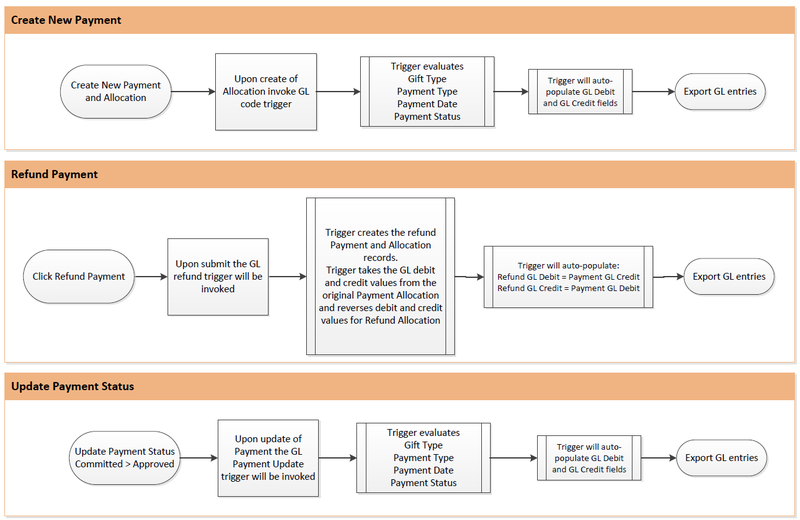 GL Codes are automatically assigned based on the Transaction Record Type and Gift Type, Payment Type, and Payment Status. To enable Enhanced Fund Accounting in your Causeview instance, follow the Enhanced Fund Accounting - Configuration Guide. Navigate to the Allocations Related List within the Transaction and click on the allocation number to view the allocation record. Within the Allocation Record, look for the Accounting Detail section. Here you will find the GL Debit and Credit Accounts that were automatically populated by Causeview from the Fund based on the transaction record type, gift type, payment type and payment status.